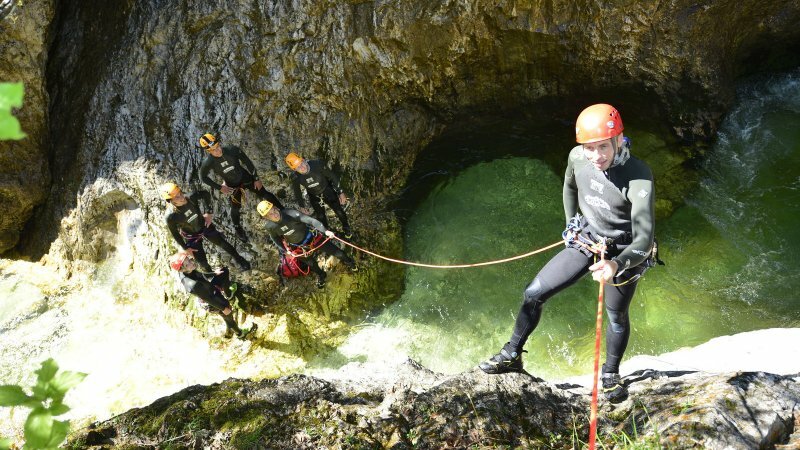 Canyoning around Lake Hallstatt: The adventure and fun factor of canyoning is impressively high and the variety is huge. 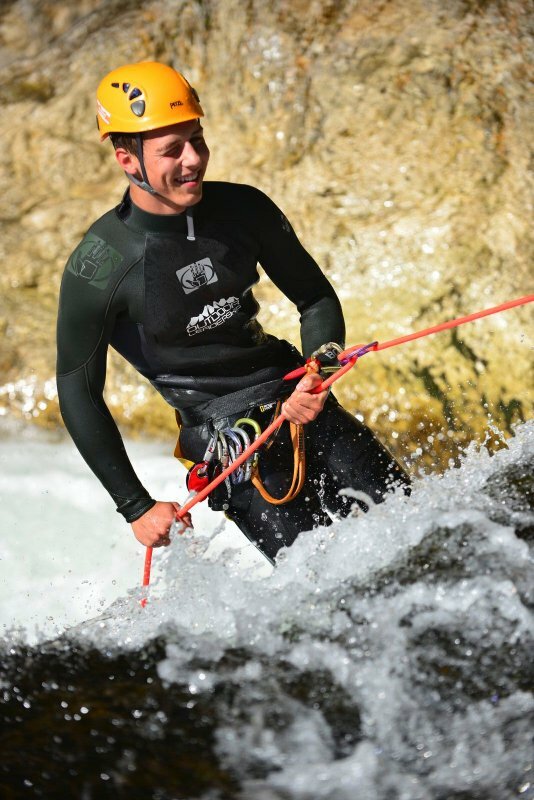 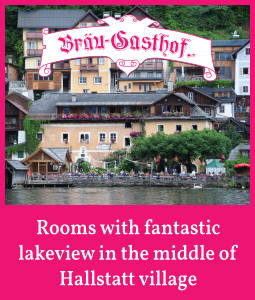 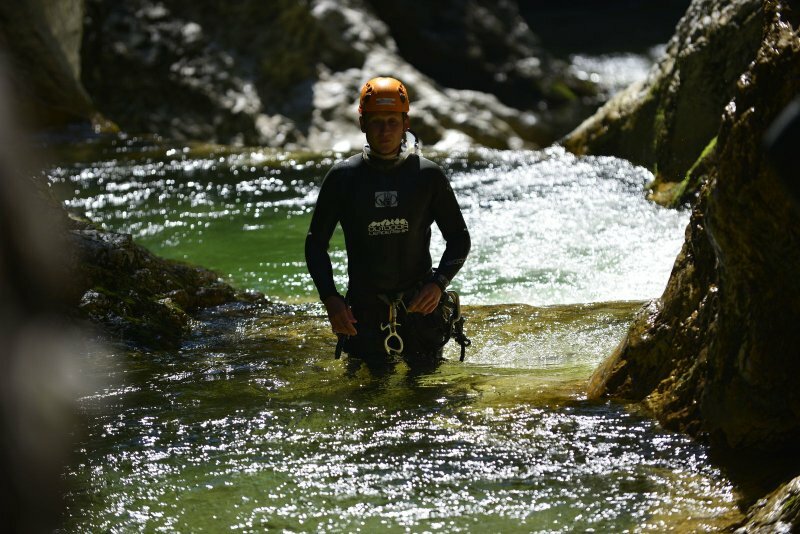 Canyoning around Lake Hallstatt in Austria: The adventure and fun factor of canyoning is impressively high and the variety is huge. 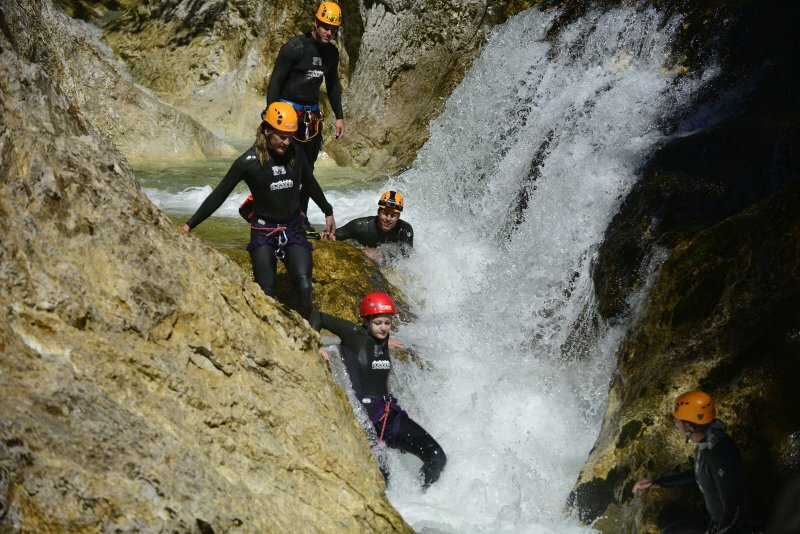 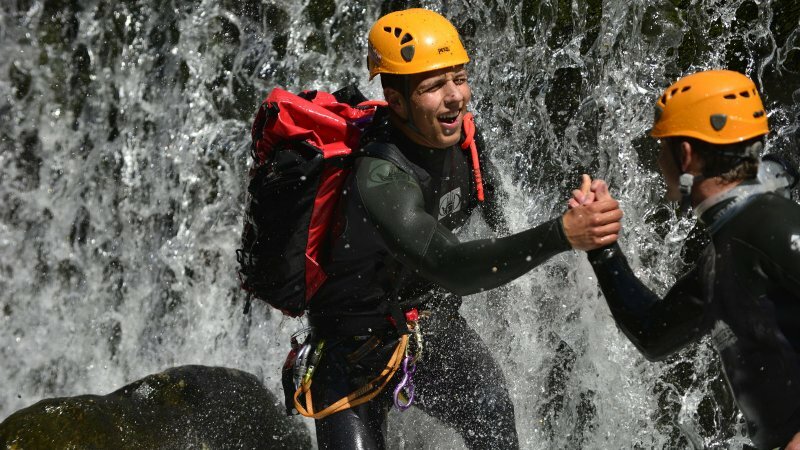 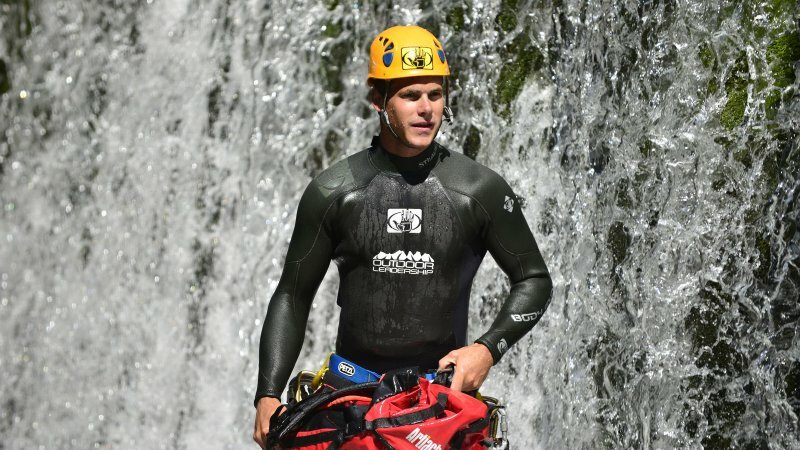 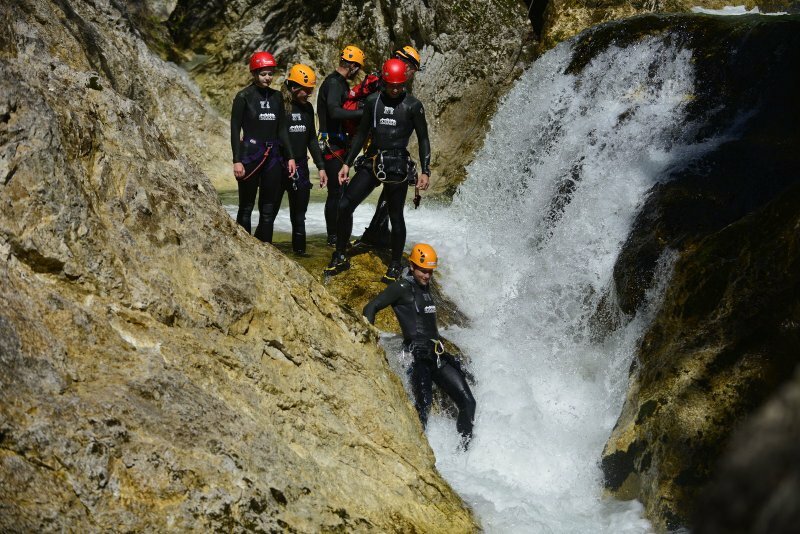 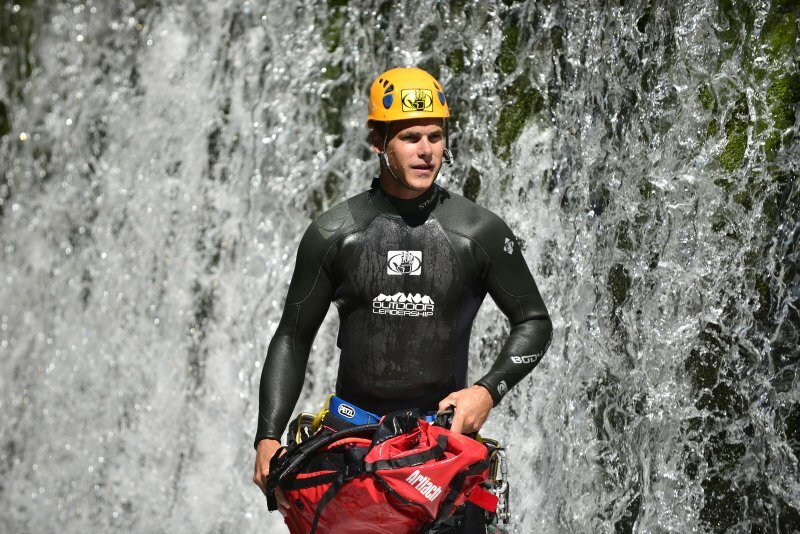 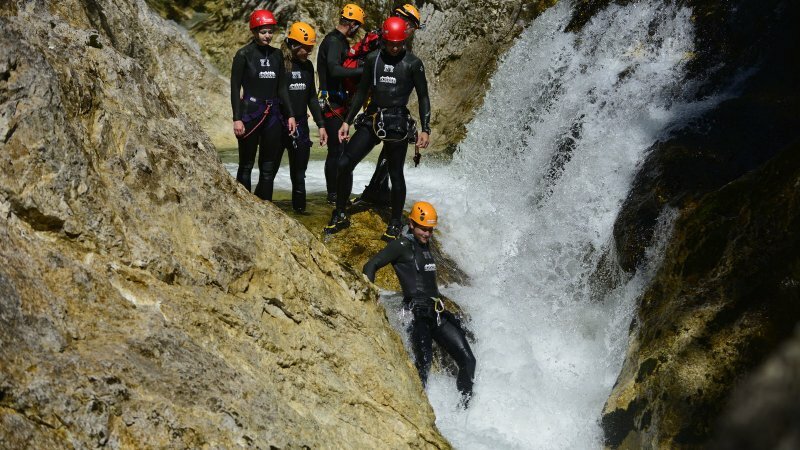 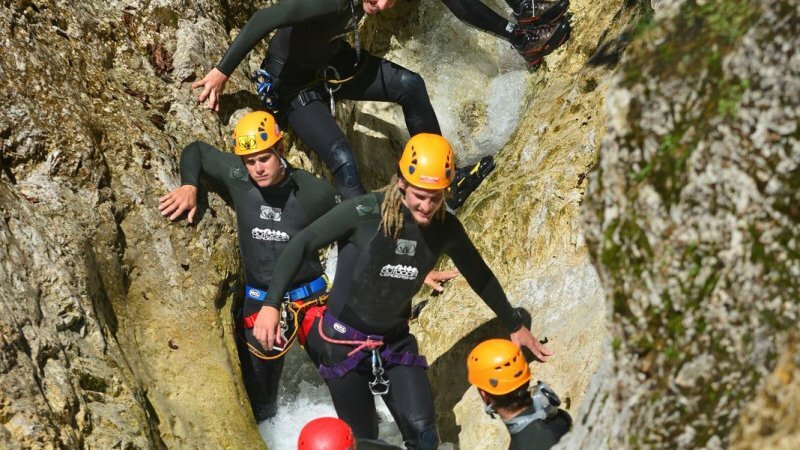 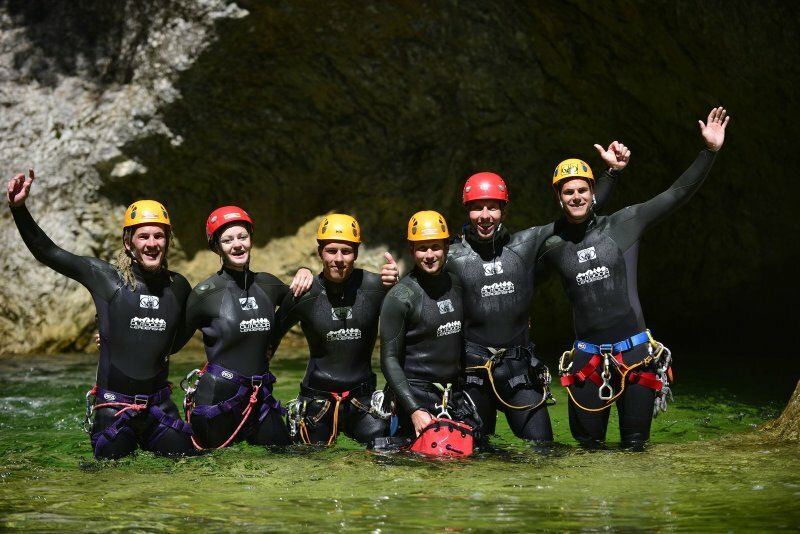 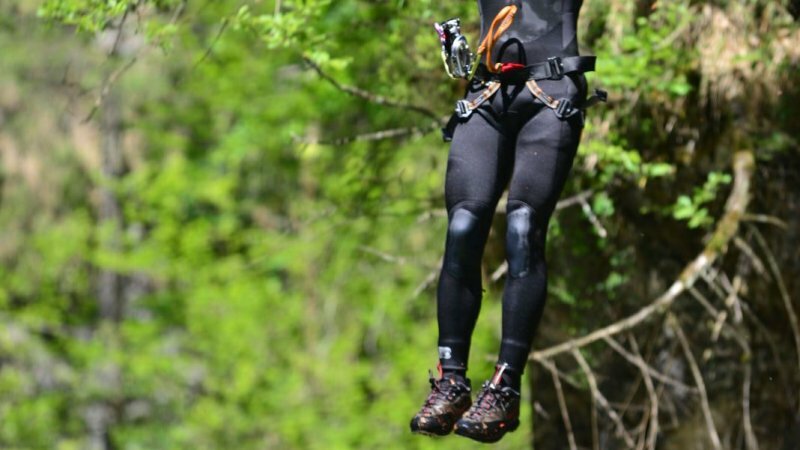 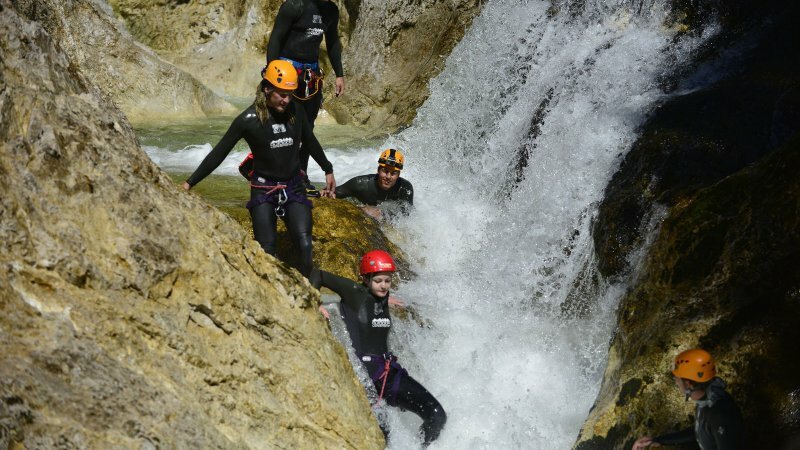 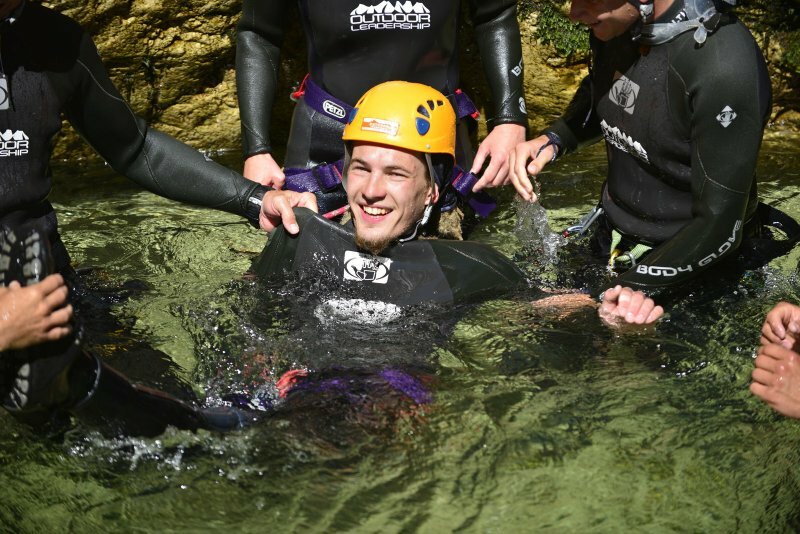 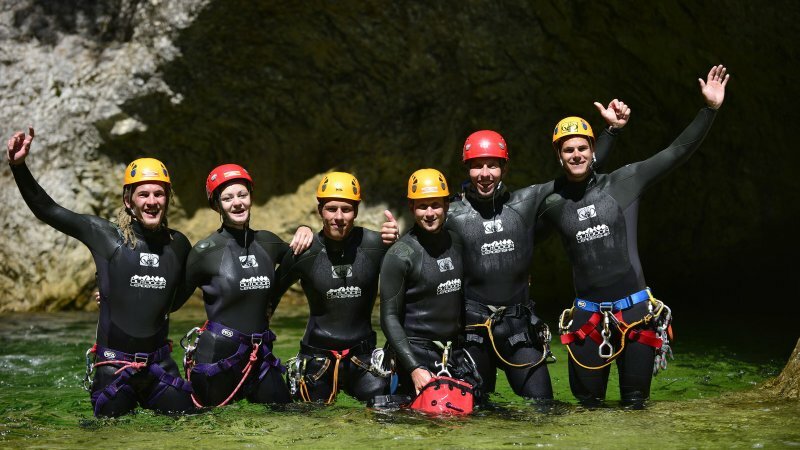 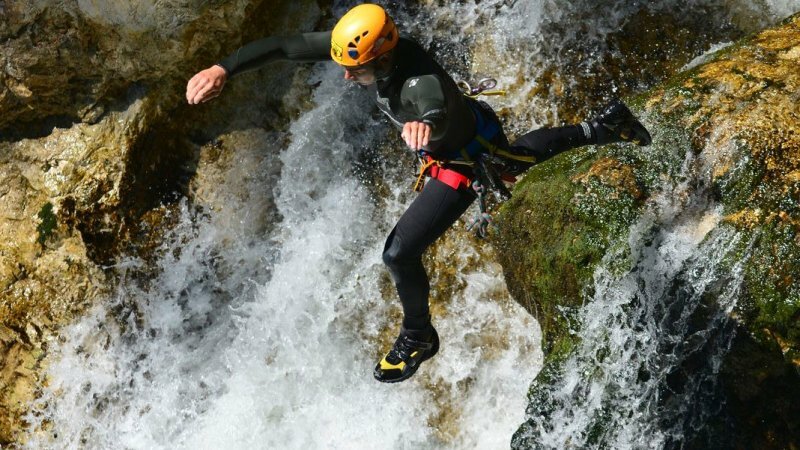 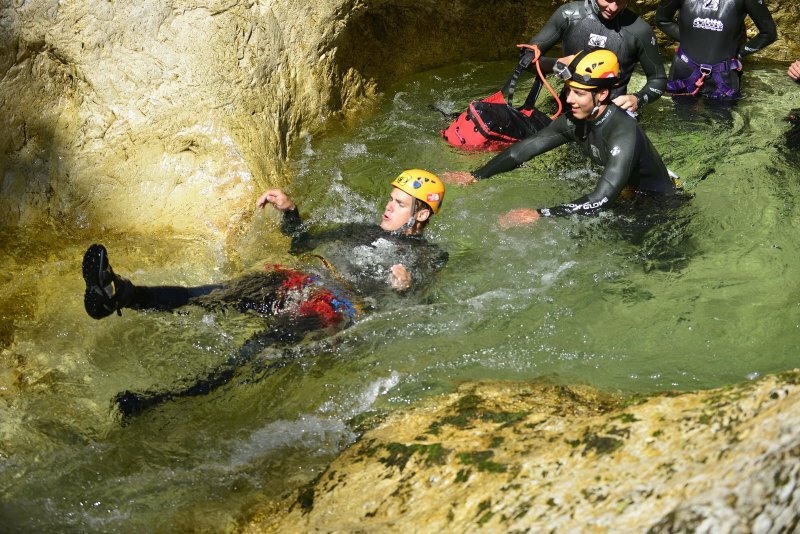 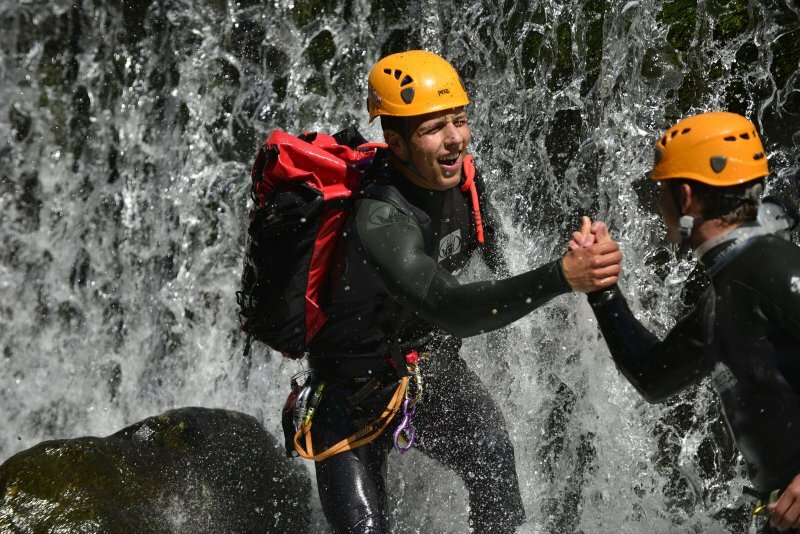 Canyoning is the unusual, adventurous challenge for all those seeking fun. 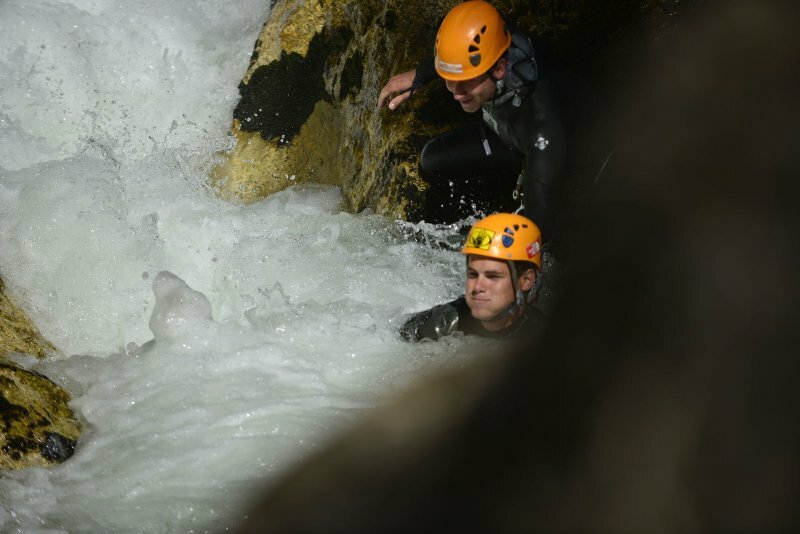 The crossing of a ravine with climbing and white water equipment is an indescribable experience. 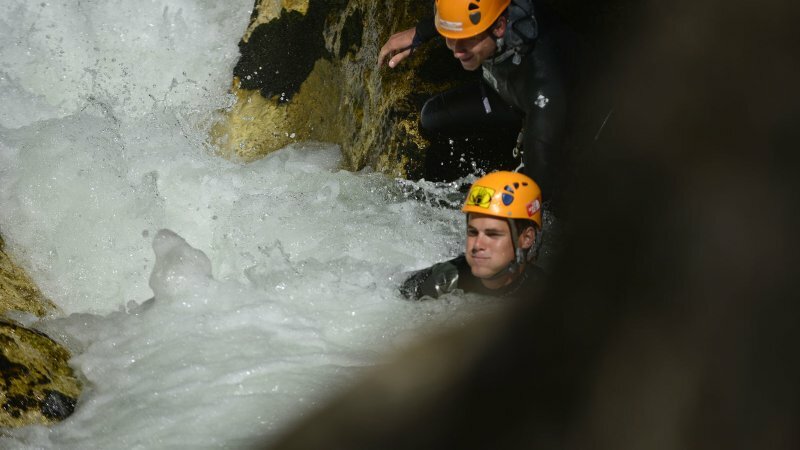 It penetrates into areas that hardly anyone has previously entered. 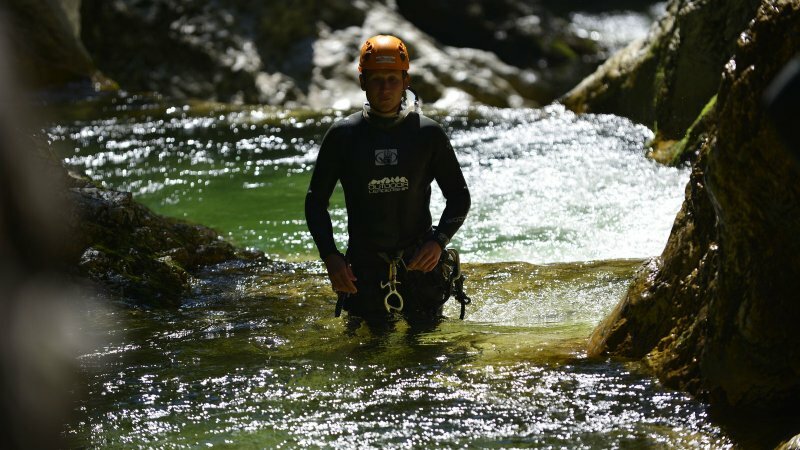 Sliding over small waterfalls, jumping into water pools, abseiling down water walls, uneart the special character of a ravine - all of which enables you to experience water in its purest form. 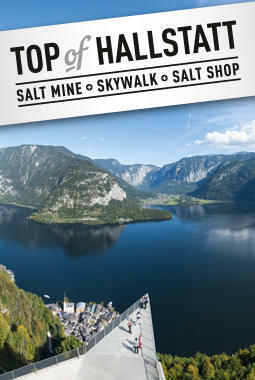 The UNESCO World Heritage region of Hallstatt Dachstein Salzkammergut is blessed with countless canyons. 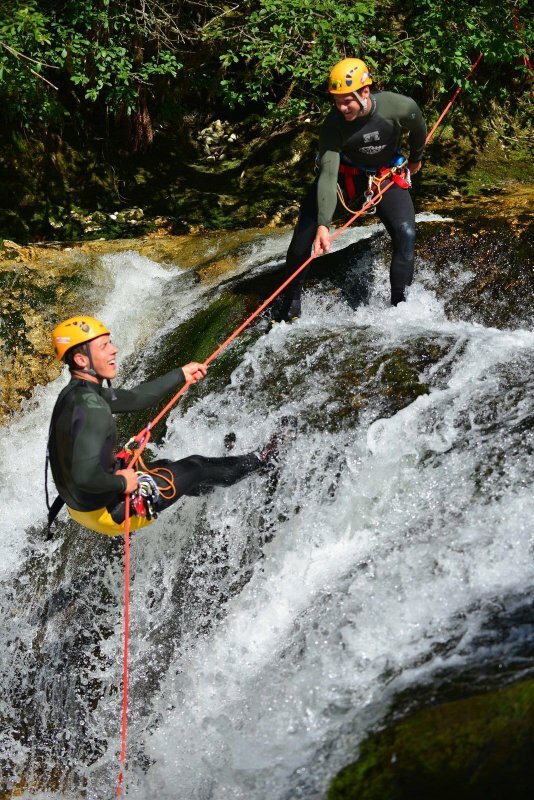 Experience the power and the beauty of nature! 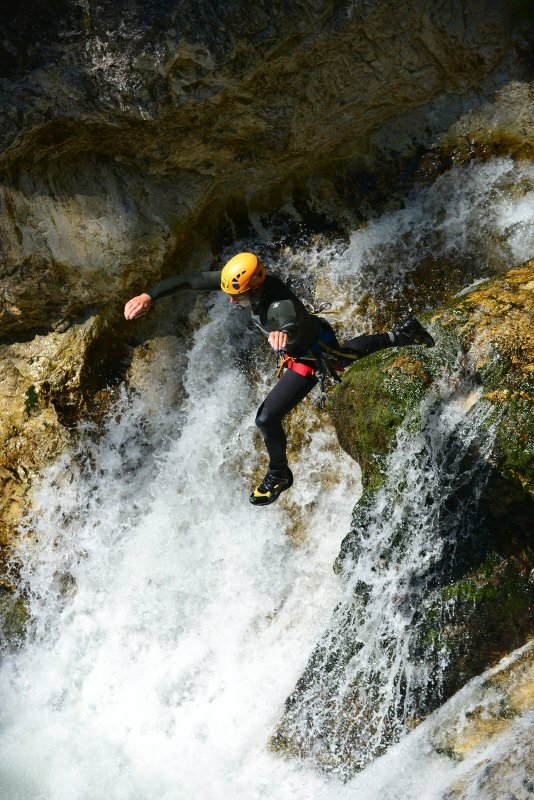 Let yourself be guided by the flow, enjoy the clear waters and marvel at the fascinating canyons! 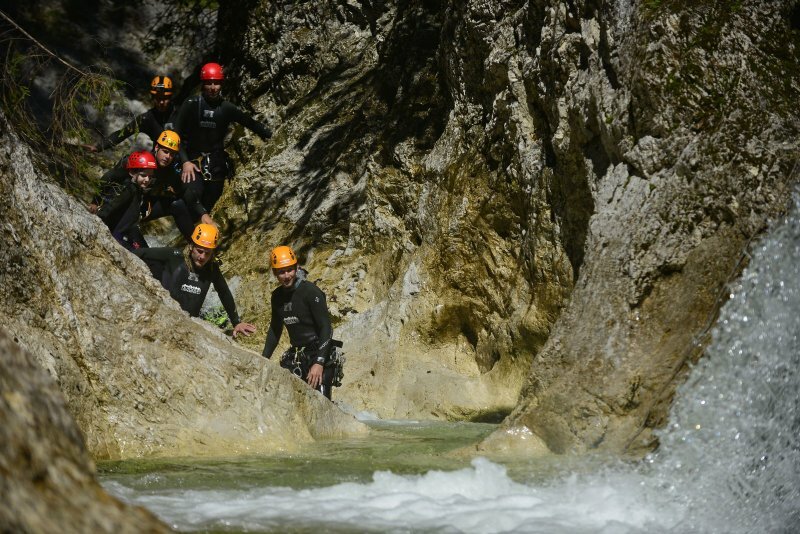 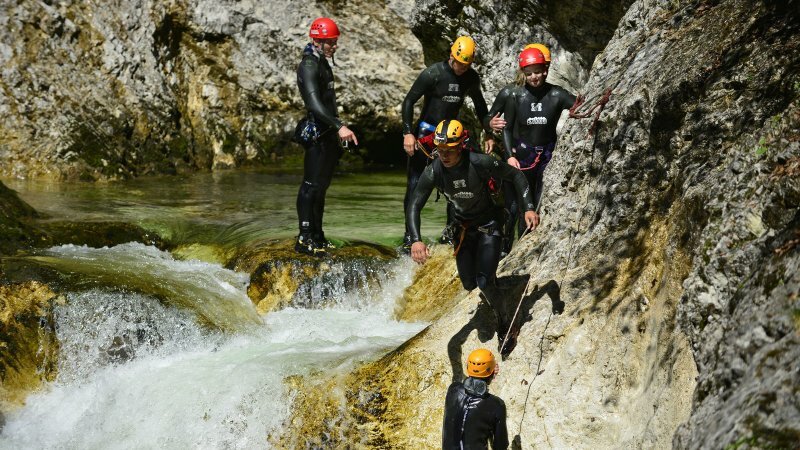 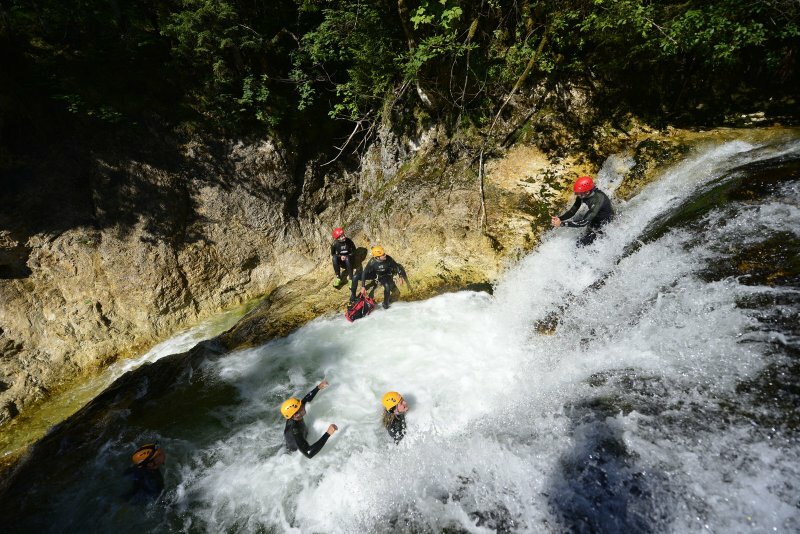 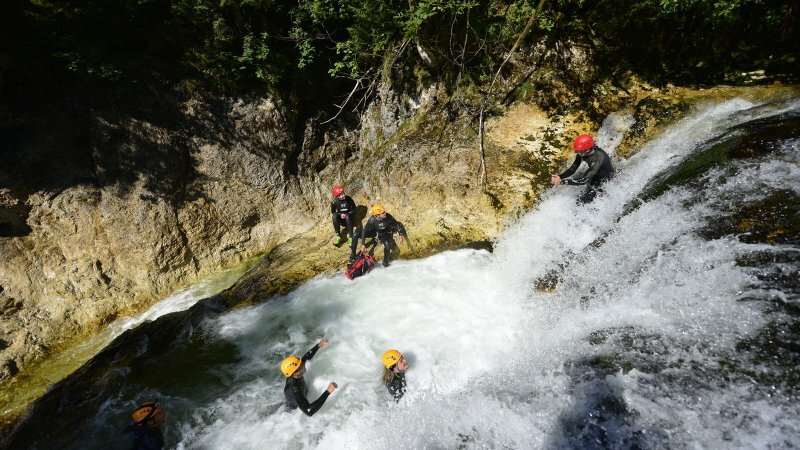 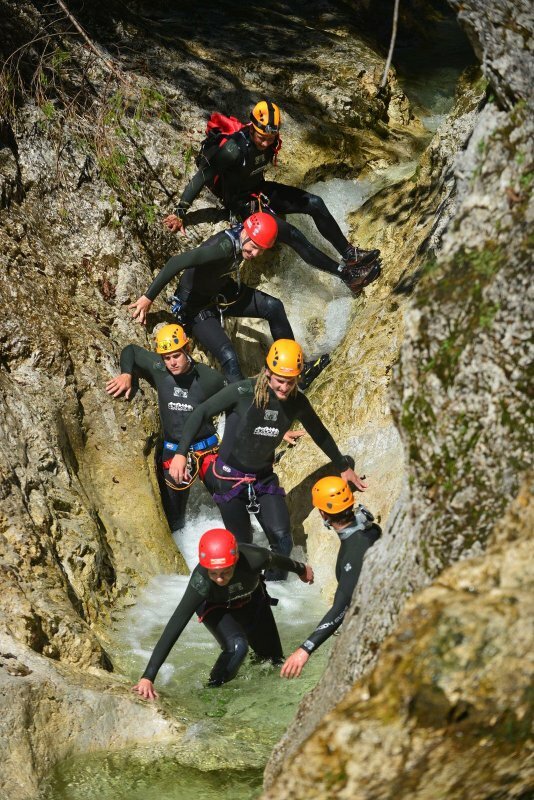 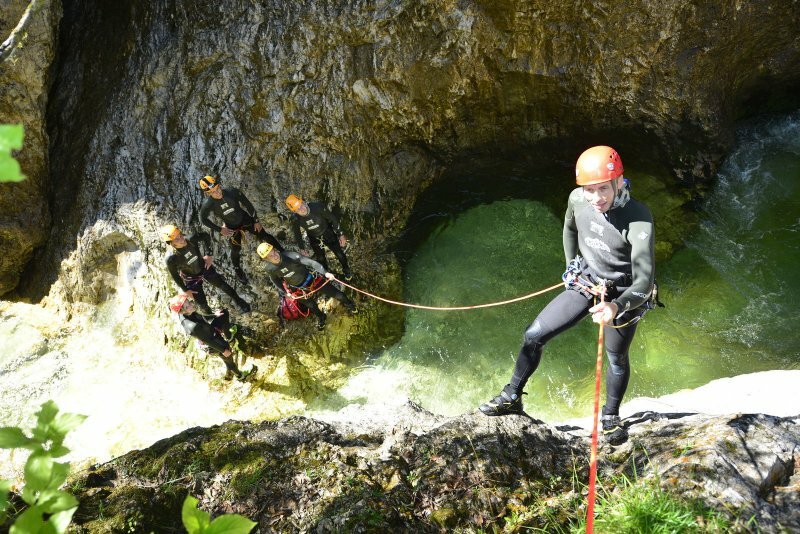 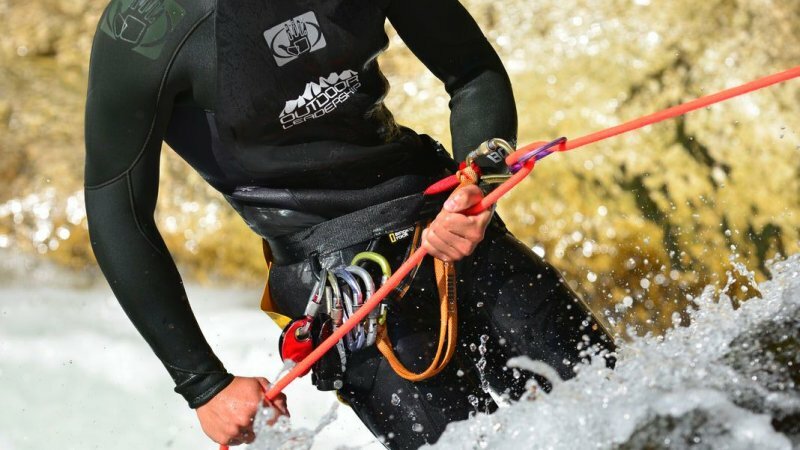 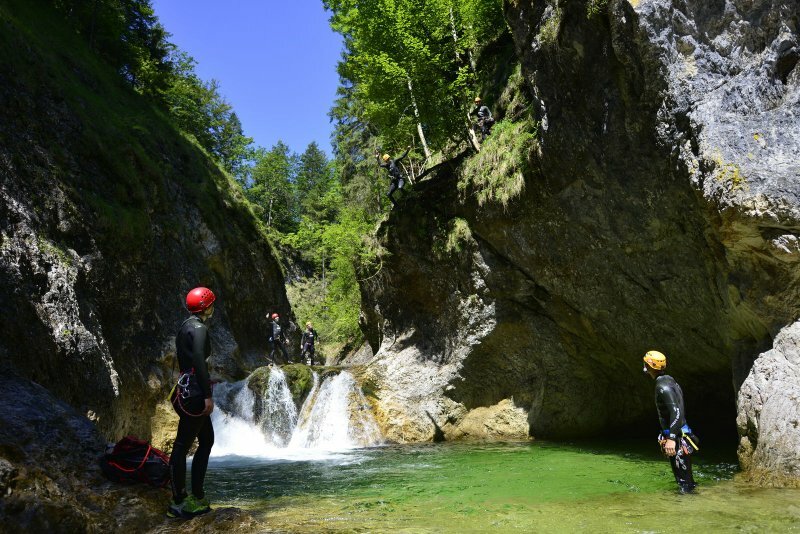 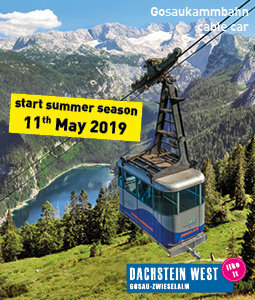 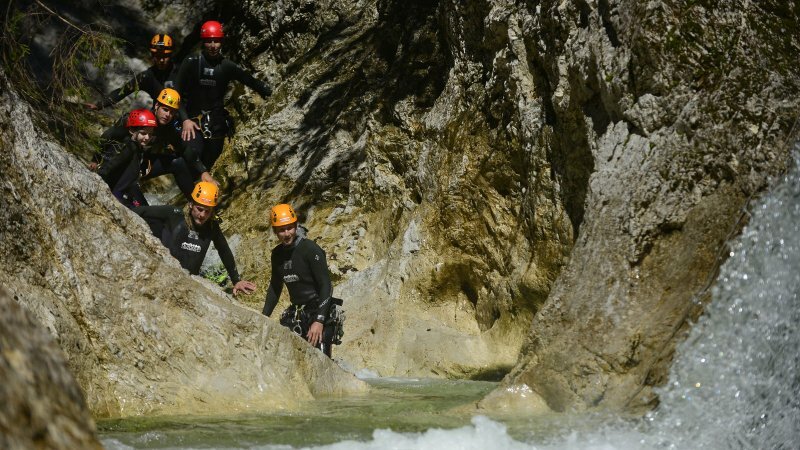 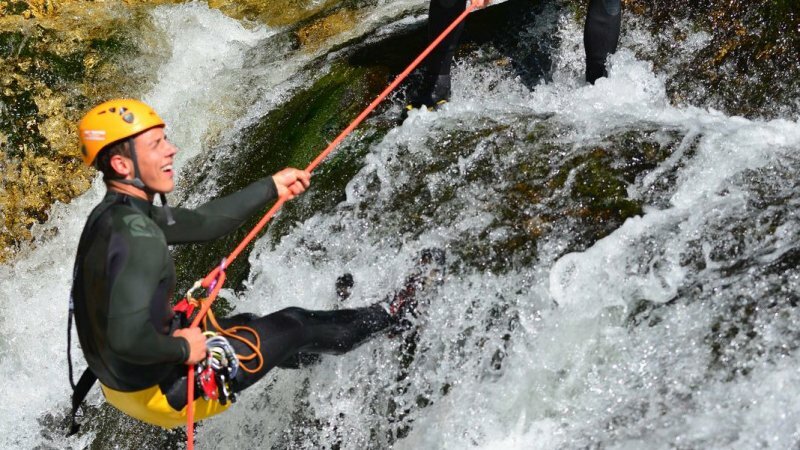 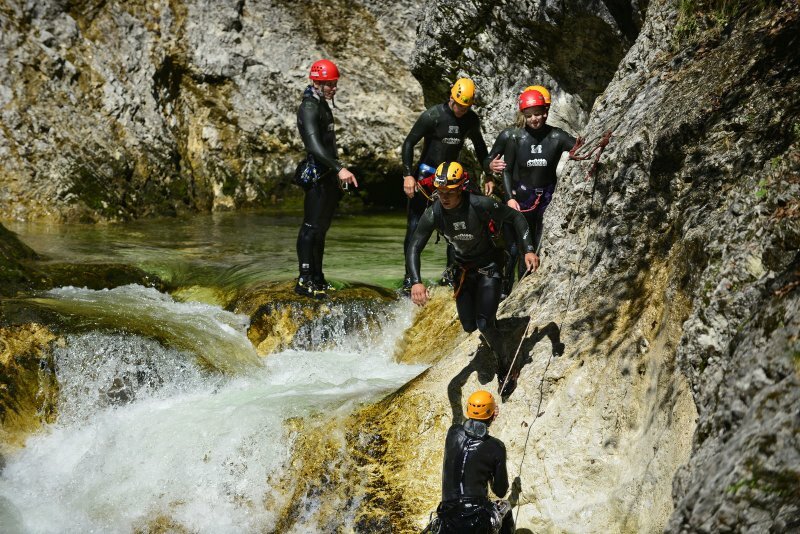 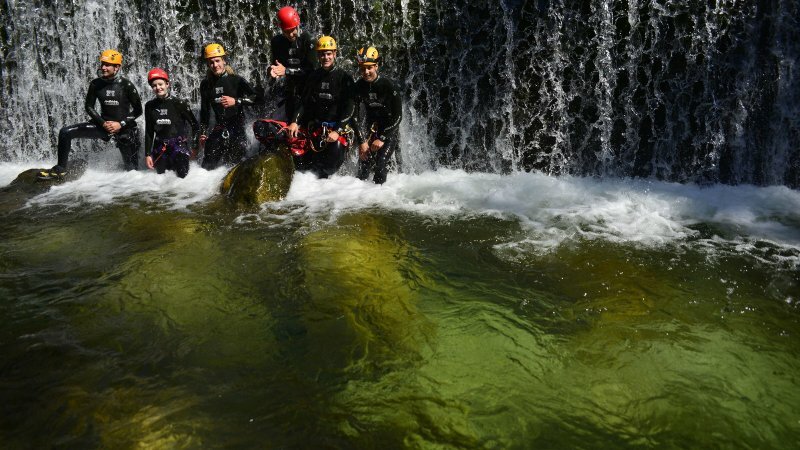 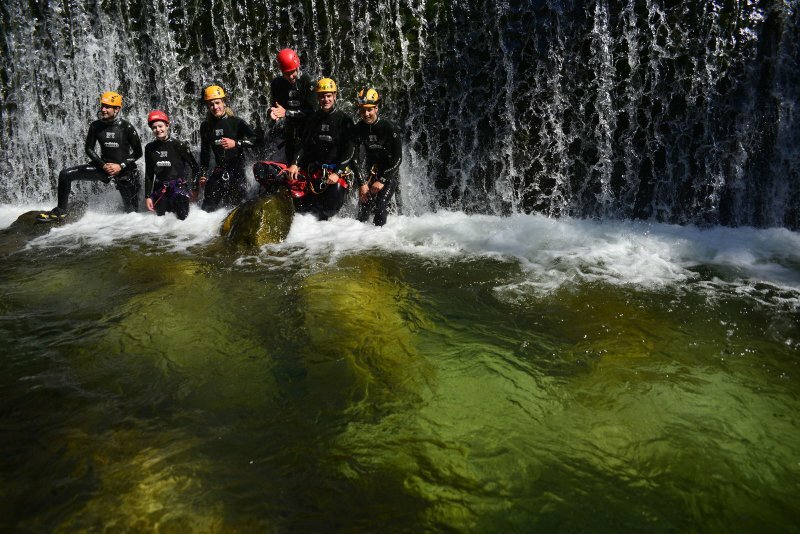 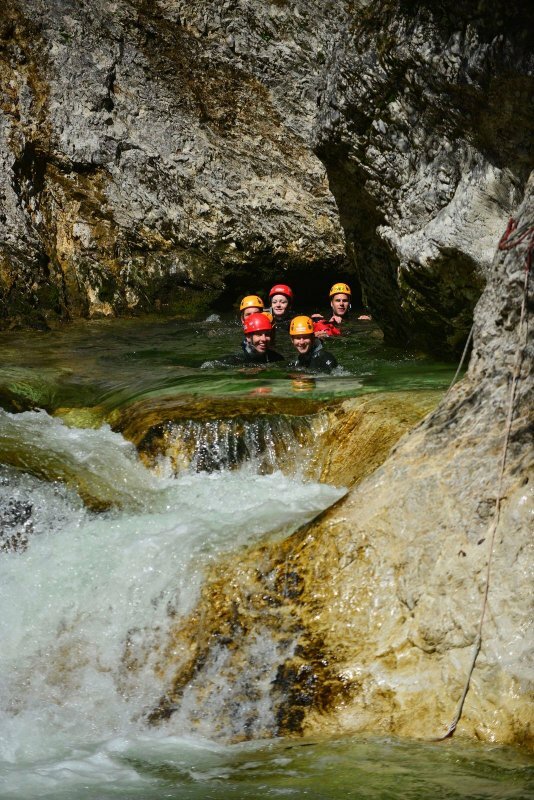 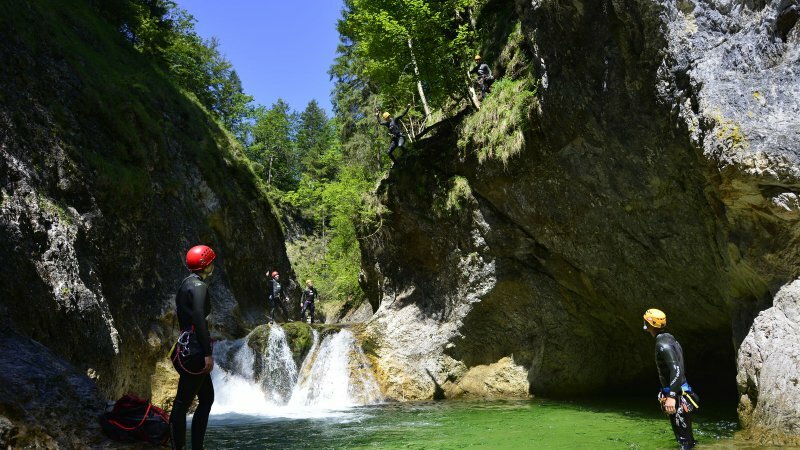 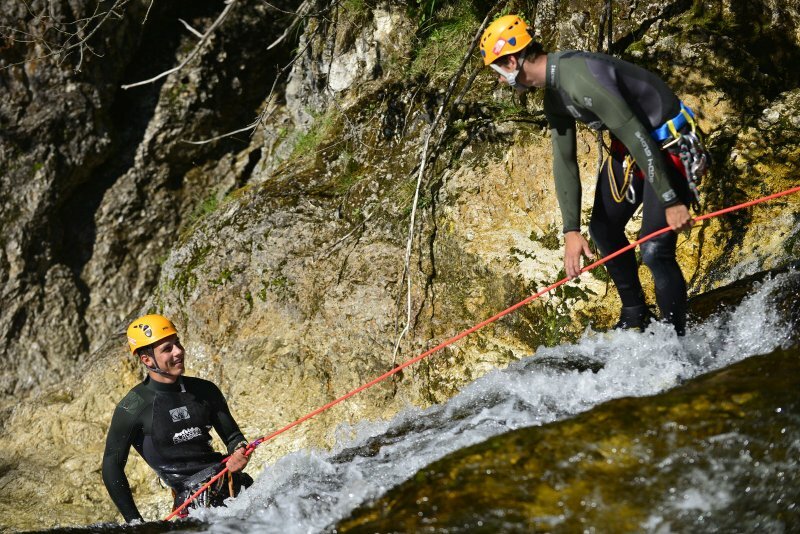 Over 20 canyons around the holiday region Dachstein Salzkammergut are on offer for beginner tour with short swims, slides and jumps of up to 3 meters- everything that a canyoning heart desires. 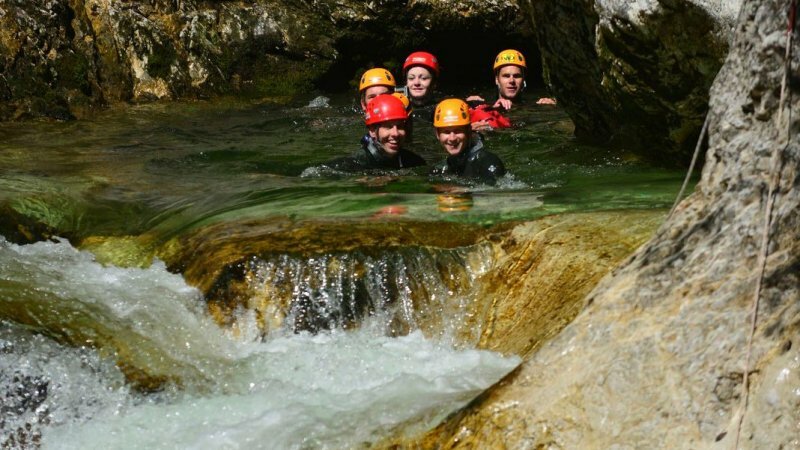 You will of course be provided with complete equipment and accompanied through the gorges by a professional guide. 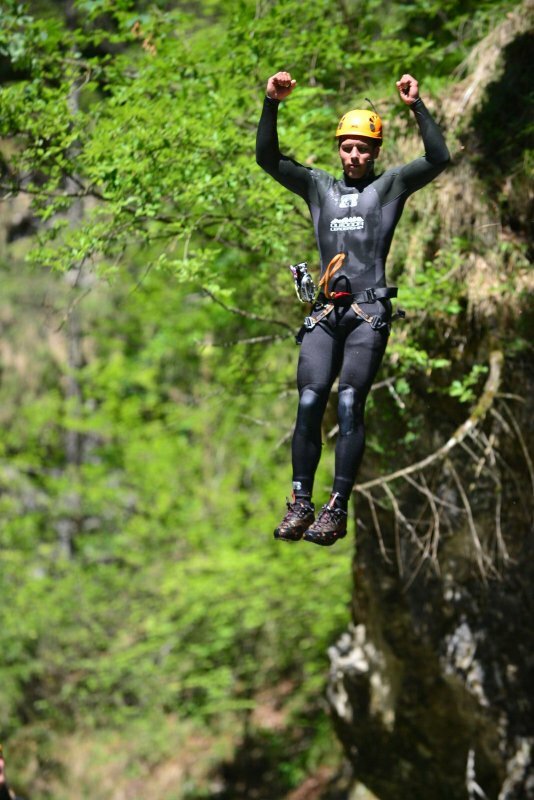 High spirits and pure nature! 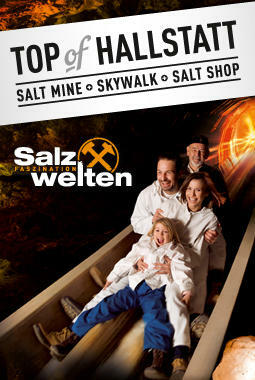 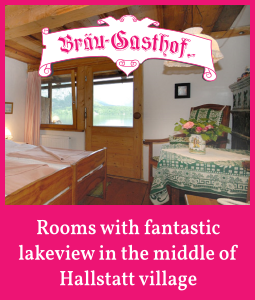 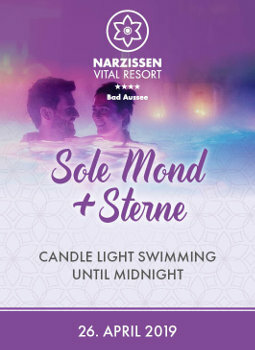 Ideal if you want to experience something exciting with family or friends.